Been a minute since you’ve seen that face, right? 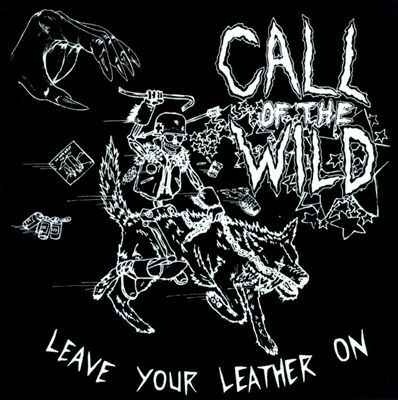 Brooklyn’s Call of The Wild just released their debut album – Leave Your Leather On – last week via Kemado Records. The band features Allison Busch of Awesome Color fame alongside one-time Nashville resident Max Peebles and Johnny Coolati – making it a pretty grimacing three-piece. You can preview the single off the album here – “Autobahn” – it’s a total ripper with some gnarly pummeling guitars and yowling vocals. Don’t worry – the whole record is pretty much like this. Definitely a contender for best party record of the year if you ask us. 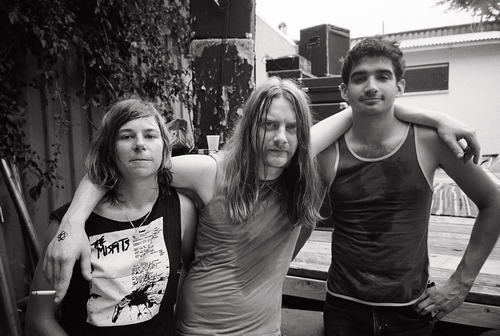 You can order the album right here if you feel so inclined [which you should] Who doesn’t like a band where the guitarist looks like Lemmy and a Skynyrd. Lemmy Skynyrd. Check out the guys celebrating the release of their new LP on a rooftop near the Williamsburg Bridge last week….